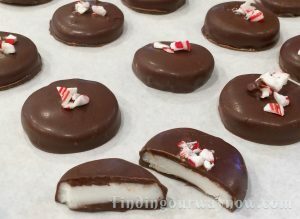 Who wouldn’t love homemade peppermint patties? 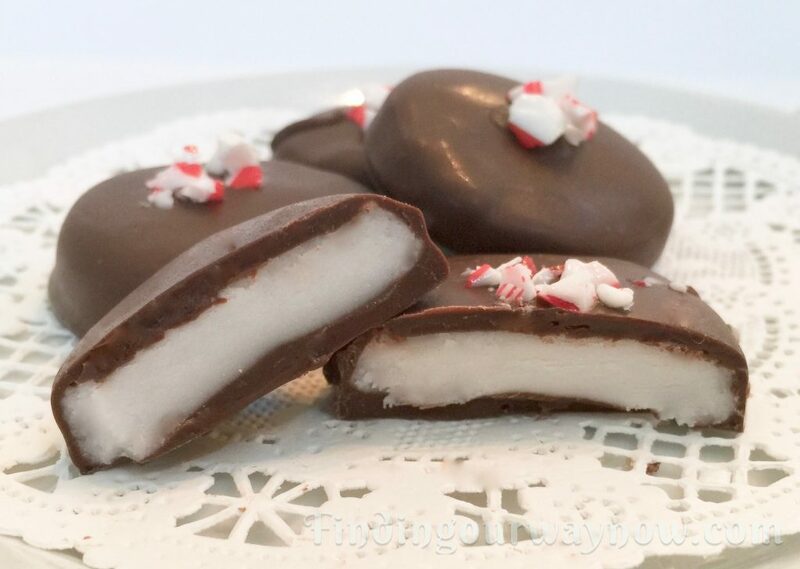 Peppermint Patties have been my all-time favorite candy. Because of that, I decided to embark on an effort to create my own. 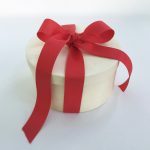 Besides, Valentine’s Day is coming, and it seemed the perfect thing to showcase along with the other confections I’ve been working on. Using a stand mixer, beat 2 cups of the powdered sugar with the other ingredients until smooth. Slowly add the remaining ½ cup of powdered sugar a little at a time and mix until incorporated creating a firm dough. Scrape the dough out of the mixing bowl onto a counter top dusted with confectioner’s sugar and knead the dough, knead in a bit of the confectioner’s sugar until you’ve reached a smooth firm malleable ball. (If the dough is still a bit sticky, scrape it off the surface, re-dust the counter and continue to knead in confectioner’s sugar a little at a time until it isn’t sticky and still malleable. Dust a flat surface and rolling pin with sugar and roll the peppermint dough out to approximately ½ inch thickness. Using a 1½-inch cookie cutter, form as many rounds as you can, dusting the cookie cutter with sugar each time, and place them on a parchment-lined sheet pan. Scrape up the dough, reform it into a ball and repeat the process until all the dough is used up. Refrigerate the peppermint rounds until they’ve hardened a bit, about 2 hours or so. Using a double boiler, carefully melt the chocolate over very low heat. Allow it to cool a bit so it’s still liquid and warm to the touch. Using a candy-lifting fork, carefully dip the cold patties one at a time in the lukewarm melted chocolate. Tap the fork a bit on the side of the pan to shake off any excess chocolate. Transfer the coated patties to a parchment lined baking sheet and allow them to set. If desired, garnish the tops of each patty with a sprinkle of crushed peppermint candies. Allow the peppermint patties to rest at room temperature until the chocolate has set and hardened. After that, transfer the peppermint patties to a container. They will keep refrigerated for up to 3 weeks. Notes: The amount of sugar required when kneading the peppermint dough will vary. So go slow and add a little at a time to reach the right consistency. If you desire a creamy peppermint center, Invertase is absolutely necessary. Invertase is an enzyme often used by candy makers to achieve soft candy centers. Invertase doesn’t work well when cold, so it’s good to bring the finished peppermint patties to room temperature well before you’re ready to share. 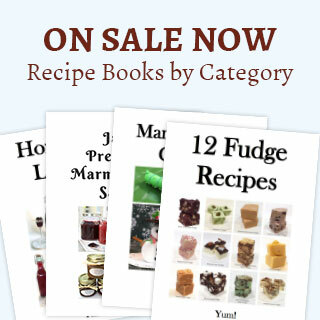 Variations For Other Flavored Candy Fillings: There are others but these are a good start. The centers may be shaped into balls, ovals or whatever shape strikes your fancy. Play with the proportions of the suggested flavorings a bit to reach the desired flavor. 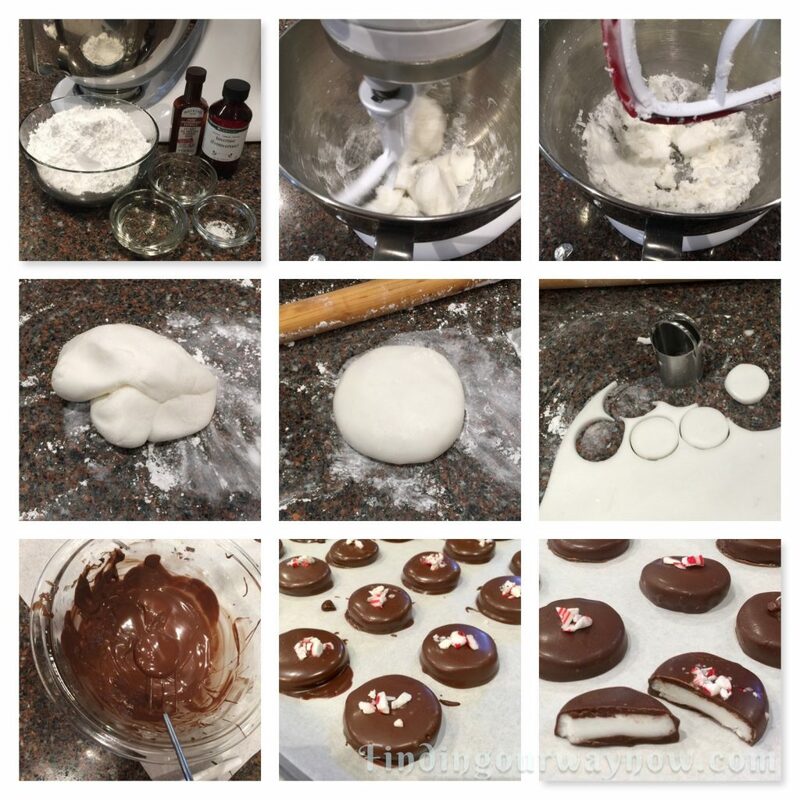 Homemade Peppermint Patties aren’t complicated; they just take time. The results are so worth the effort. I say it so often but it’s so true, homemade is always so much better. That’s certainly the case with these little gems. If you’re as much a peppermint patty fan as I am, then you must give these guys a try.